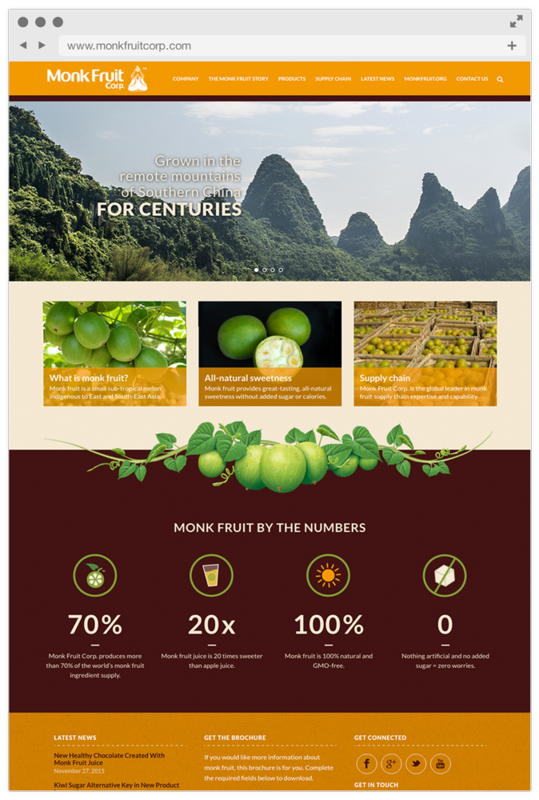 Grown in the remote mountains of Southern China, Monk fruit is an all-natural sweetener derived from a fruit that provides the same sweet taste as sugar, but at an extremely low caloric count. 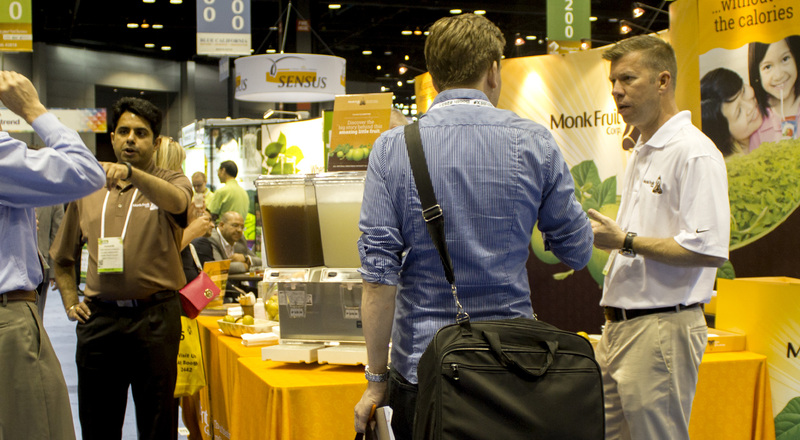 BioVittoria, the company that produces it, came to us looking to debut monk fruit in an overloaded ingredient category — with the goal of CPGs incorporating it into their products. 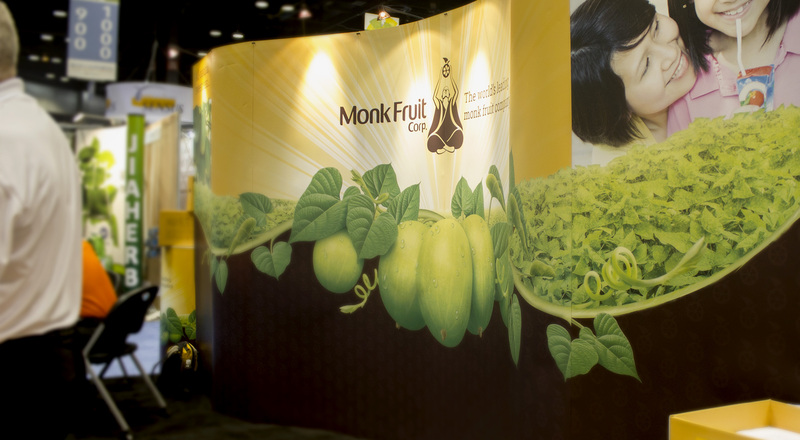 We developed plans that began with marketing monk fruit at health-and-ingredient-specific trade show. 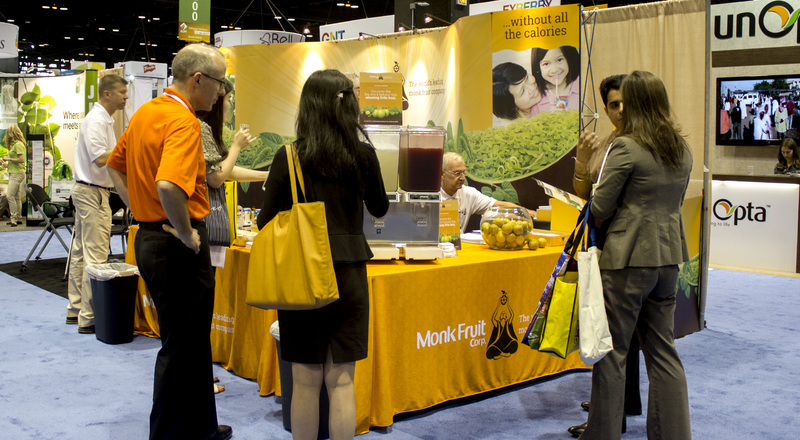 While that was in progress, we started marketing towards health care professionals who could educate patients on the nutritional benefits of monk fruit as a healthy alternative to sugar, without sacrificing taste. 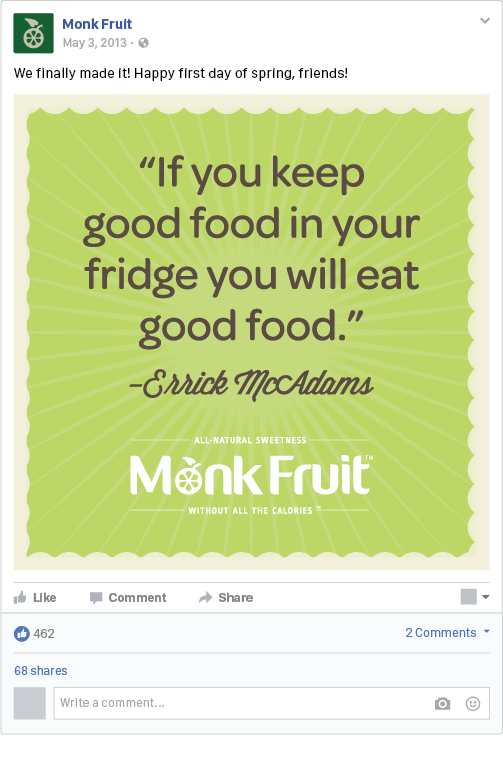 This plan would lead to the creation of customers, as patients who were recommended monk fruit would demand the ingredient from retailers, helping the product off the ground organically. 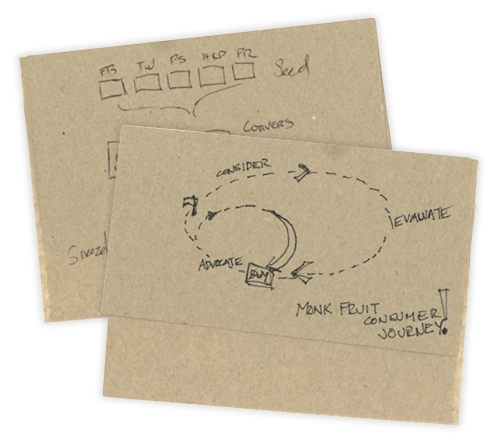 The beginning of a fruitful relationship: This napkin sketch, done during the very first client meeting, captures the biz model we still hold true to today. 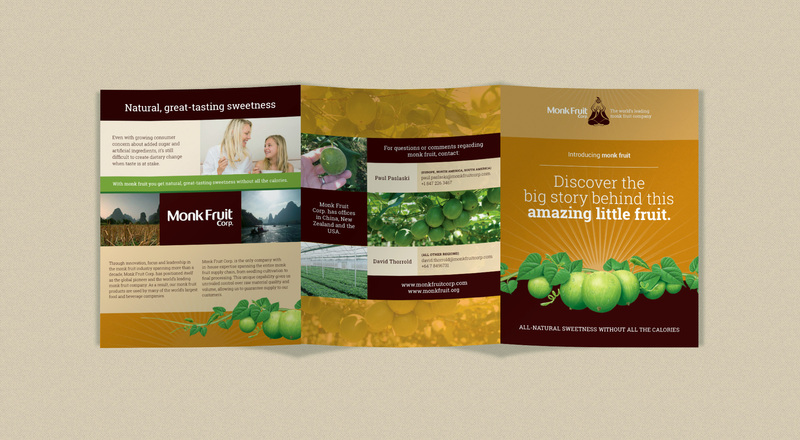 Using colors reflective of the fruit itself, we designed a consumer-and-business-facing websites for monk fruit. 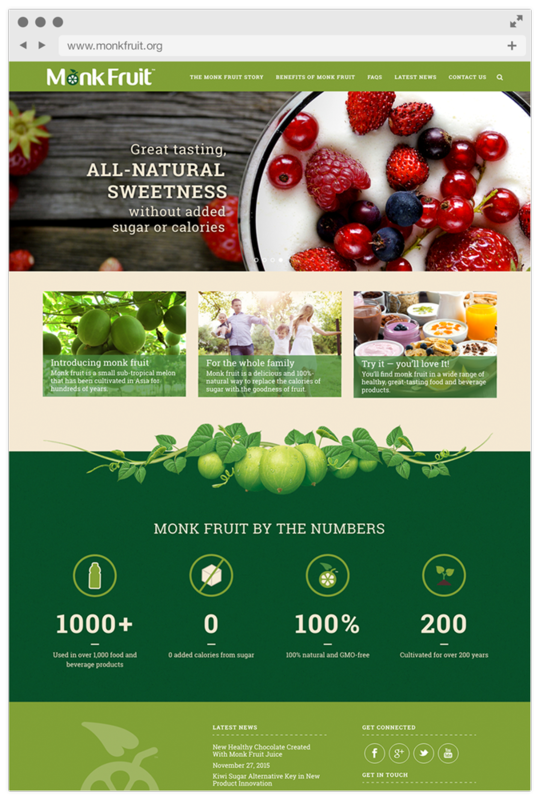 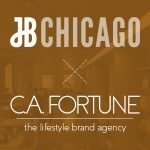 These sites became the home for all monk fruit content, creating the go-to source for all information on the product, pushing a blend of PPC and SEO boosted traffic to the site. 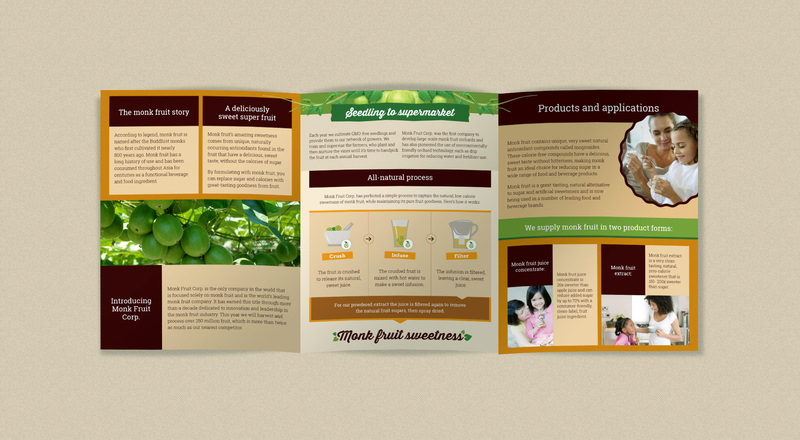 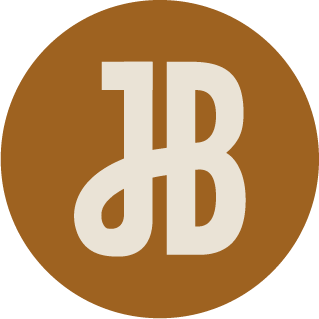 We applied the business-facing design to multiple tactics. 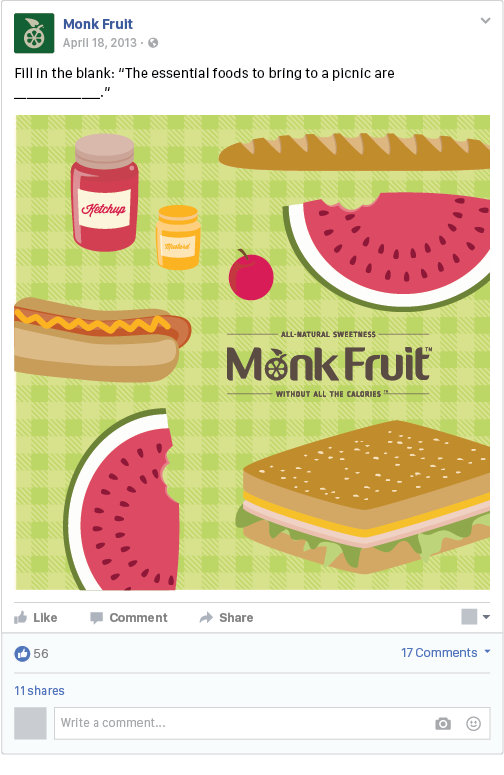 The use of color blocking with imagery of the fruit and region created a clean, bold and easily understandable look for Monk Fruit. 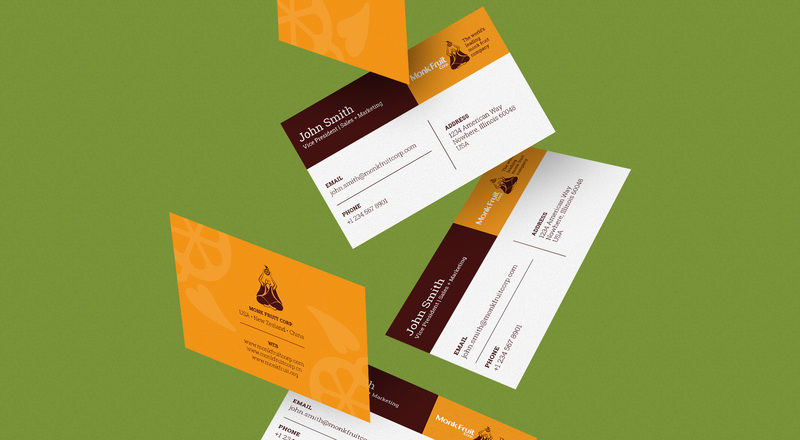 This new, engaging look was applied to business cards, tradeshow materials and a brochure design. 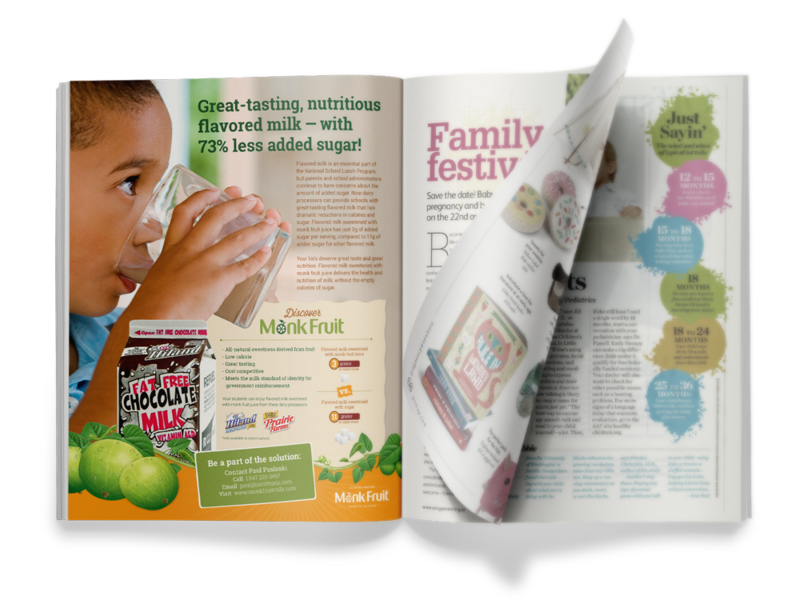 We also created a print ad for School Nutrition Magazine and a sell sheet to distribute at trade shows. 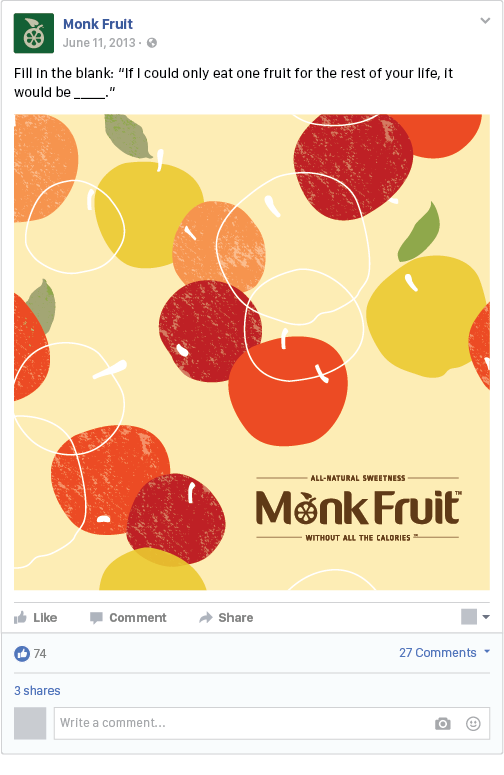 We also brought Monk Fruit to Facebook and Twitter, quickly establishing a strong social networking presence. 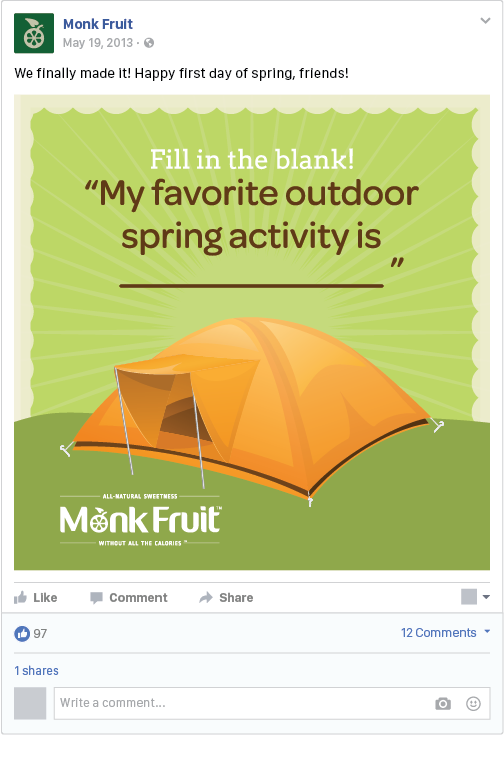 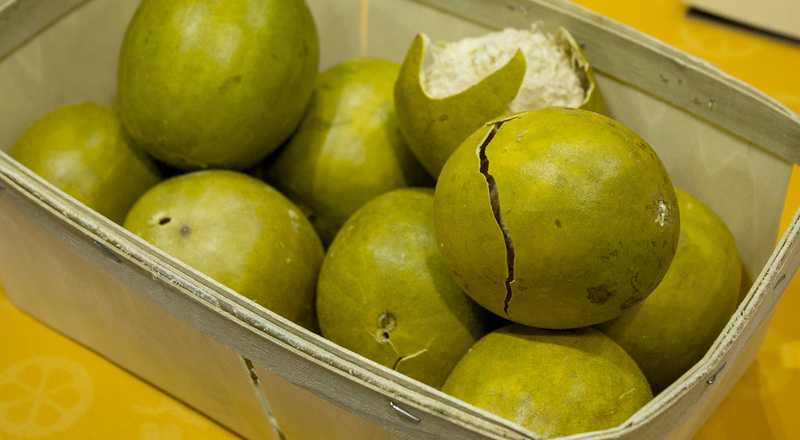 Our social target was health-oriented consumers who could become brand advocates and create demand for the product by pressuring CPGs to use monk fruit. 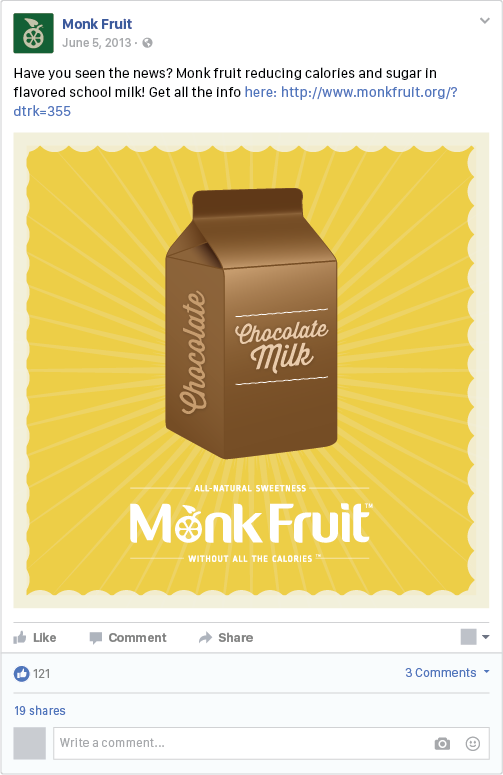 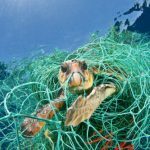 Simultaneously, we launched a campaign that linked a non-for-profit cause to the Monk Fruit website. 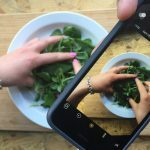 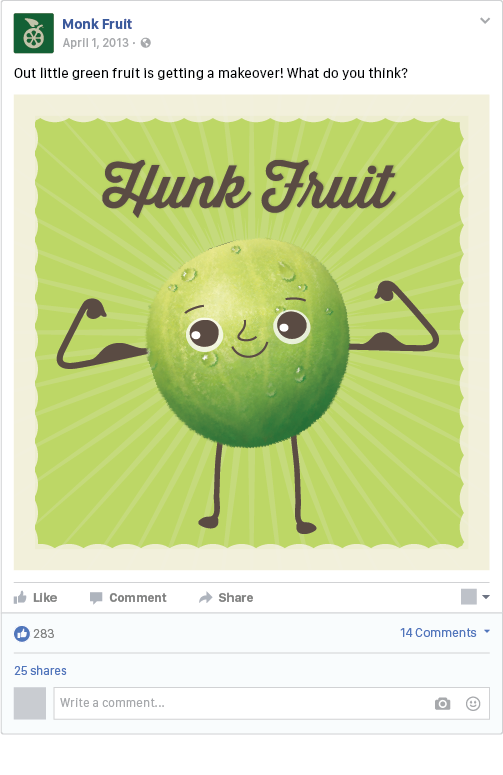 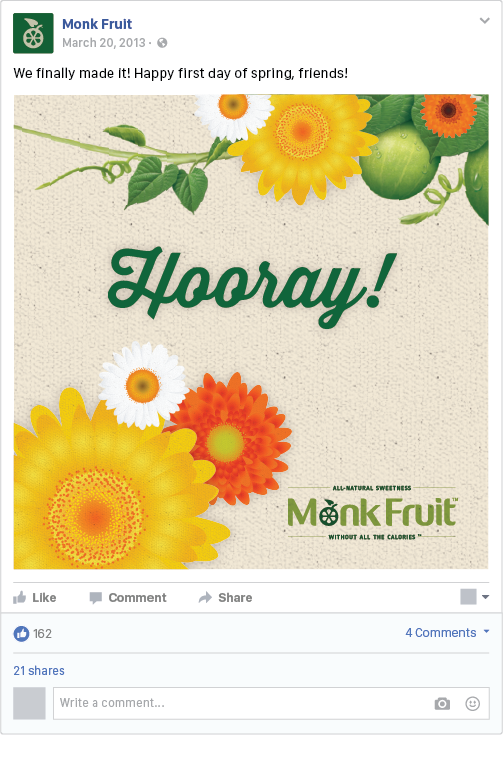 By simply sharing the message with friends via Facebook or Twitter, users supported the cause and Monk Fruit’s message was broadcast on the news feeds of each supporter.